Your selection of a Michigan board certified plastic surgeon is one of the most important decisions you will ever make. It is the desire at Image by Design Plastic Surgery that your decision is the best one possible. Dr. Kayser and his staff fully understand this process and will guide you through it – as they have the many patients before you. They are not only fully experienced in this matter but they will meet this challenge personally – one on one – with you. See more cosmetic surgery video testimonials. Dr. Kayser’s credentials are extensive. He attended medical school at the world renowned University of Texas Southwestern Medical Center in Dallas, Texas – a city often considered the Mecca of plastic and cosmetic surgery in the southwest. After an additional seven years of general and plastic surgery in Michigan – at which time he also had the opportunity to spend time at the prestigious Manhattan Eye, Ear, and Throat Hospital in New York City – he returned to Southwestern to complete a final fellowship year of craniofacial surgery. During this time, Dr. Kayser was privileged to learn from the leaders in the field of plastic and cosmetic surgery – assets which he has been able to carry on to his practice in Michigan. His use of the revolutionary SPAIR breast lift and breast reduction procedure and the technique of Lipostructure® fat grafting are just a few examples of the many state of the art procedures he incorporates into his practice. Dr. Kayser is certified the American Board of Plastic surgery – a recognized specialty of the American Board of Medical Specialties; he is also a member of the American Society of Plastic Surgeons – organizations which require that medical, moral, and ethical standards are fully met. His membership in other nationally recognized organizations is also testament to his desire to maintain the most current aspects in caring for his patients. 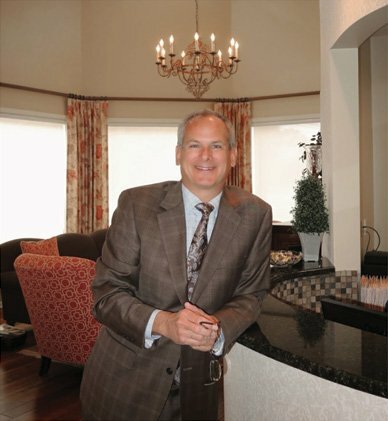 Dr. Kayser founded Image by Design Plastic Surgery in 1996. His sole purpose has been to provide the utmost in patient care in the field of plastic and cosmetic surgery – unmatched anywhere. Since its beginning, Image by Design Plastic Surgery has grown year after year with the ongoing commitment to meet the needs of all of his patients. And as a plastic surgeon in a solo practice, Dr. Kayser has been able to provide individual and personal service to each and every patient at all times – an aspect of care less common to multi-group practices. Michigan board certified plastic surgeon Dr. Kayser serves as Chief of Plastic Surgery at St. John Macomb Hospital Center in Warren, Michigan. He is also on staff as a fully active plastic surgeon at St. John Hospital and Medical Center in Detroit, St. John Surgery Center in St. Clair Shores, and Bon Secour and Cottage Hospitals in Grosse Pointe, Michigan. Each one of these facilities is fully accredited by the Joint Commission on Accreditation of Healthcare Organization and are staffed by fully credentialed and board certified anesthesiologists to ensure that all safety requirements are met. His practice serves the entire southeast Michigan area and has even drawn patients from other states such as Ohio, Illinois, Pennsylvania, California, Texas, and our border country, Canada. Dr. Kayser is the pioneering surgeon who introduced the SPAIR short scar breast technique into the Detroit metropolitan and southeast Michigan areas. He has been the featured plastic surgeon in ‘PlasticSurgeryProducts’ magazine and has also appeared on both CBS and UPN television, The Eastside Examiner in Grosse Pointe, the Detroit News and Free Press, The Macomb Daily, and the “Doc of the Day” on Magic radio. He has been named a Life Member of the National Registry of Who’s Who and, most recently, has been selected as one of “America’s Top Physicians”. Michigan board certified plastic surgeon Dr. Kayser has been voted One of Metro Detroit’s Best Doctors for 2008 by Vital Magazine, and Voted best doctor in Michigan by Top Docs. In keeping with his desire to maintain the most current trends in plastics surgery, Dr. Kayser has also been a member of the editorial board of the Selected Readings in Plastic Surgery and has contributed to, and received first place awards from, the ongoing foundation of research in plastic and reconstructive surgery in both journals and presentations at society meetings.